There seems to be a lot of angst about the stock market these days. It’s been going up, up, up. Is it too high? Will there be a crash? Accordingly, I just caught up on the most recent Howard Marks memos – There They Go Again… Again ] and the follow-up Yet Again?. Everyone from Warren Buffett on down reads these memos to Oaktree Capital clients. The first memo contains mostly cautionary advice about how asset prices are high, prospective returns are low, and high-risk behavior is commonplace. We are in the midst of high uncertainty in terms of central banks, politics, technology, future jobs, and more. Yet stocks are at historically high-valuations and risky bonds (junk corporate, emerging markets) are priced at historically-tiny premiums to Treasury bonds. The bottom line is that while the prices and prospective returns on many things are justifiable today relative to other things, you can’t eat (or spend) relative returns. In other words, just because you can justify it doesn’t mean you should buy it. The second memo tries to respond to criticisms and also provide additional guidance. It’s easy to point out flaws. It’s harder to lay out clear and actionable advice. Investing in low-cost index funds is not perfect and has many drawbacks. But what is better? 1. Invest as you always have and expect your historic returns. 2. Invest as you always have and settle for today’s low returns. 3. Reduce risk to prepare for a correction and accept still-lower returns. 4. Go to cash at a near-zero return and wait for a better environment. 5. Increase risk in pursuit of higher returns. 6. Put more into special niches and special investment managers. For me the answer lies in a combination of numbers 2, 3 and 6. Adjust your future return expectations to be lower than historical averages. Make sure your portfolio is stress-tested. If a 50% drop in your stocks would freak you out, then reduce your risk slightly by selling a bit of stocks and buying a bit of short-term, high-quality bonds (or cash). Don’t go 100% cash, but do take some risk off the table if necessary. You might simply keep your portfolio the same. I’m sticking with 2/3rd stocks (globally-diversified) and 1/3rd bonds (on the shorter-term, higher-quality side). 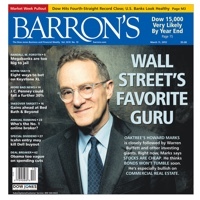 If you are Howard Marks, you might look for “special niches and special investment managers”. If you are not Howard Marks, ignore this option because you’re most likely to do harm than good. If anything take 5% of your portfolio, manage it however you like, and compare your return honestly with your index funds. If you refuse to fall into line in carefree markets like today’s, it’s likely that, for a while, you’ll (a) lag in terms of return and (b) look like an old fogey. But neither of those is much of a price to pay if it means keeping your head (and capital) when others eventually lose theirs. In my experience, times of laxness have always been followed eventually by corrections in which penalties are imposed. It may not happen this time, but I’ll take that risk. In the meantime, Oaktree and its people will continue to apply the standards that have served us so well over the last [thirty] years. Risk-taking in the capital markets is becoming widely accepted again. Therefore, the contrarian thing is to not increase your risk right now. You may have to give up some possible return, but it is wiser to be prepared. Marks is not a “perma-bear” that always call for an impending crash. If you read the Barron’s cover above it quotes Marks as saying “stocks are cheap” back in March 2013 (paywalled article). Not a bad call in hindsight. Bookmark this article for another hindsight check in 2021/2022. You can read previous Howard Marks Memos online for free, or as a book with extra commentary in The Most Important Thing. Tuesday, November 28th is Giving Tuesday 2017. Black Friday, Cyber Monday… don’t forget that this time of the year is also huge for charities. I’ve saw a stat that 40% of donations occur in the last six weeks of the year. Here are some ways you can make your donation go farther with a match. Facebook/Gates Foundation match (good toward any charity that accepts donations via Facebook). Starting at 8am Eastern on 11/28, Facebook and the Bill & Melinda Gates Foundation will match $2 million in donations to U.S. nonprofits – up to $50,000 per nonprofit and $1,000 per fundraiser or donate button on Facebook. In addition, all transaction and processing fees with be waived for this day – usually Facebook charges a 5% fee. The donation must be made through a fundraiser for a nonprofit, a donate button on a post, a donate button on a Page or a donate button on a live video. For example, give directly with the donate button on the The Humane Society Facebook Page. You can also start your own fundraiser here or simply post up a donate button to support your favorite charity. Check for an employer match. Try this lookup tool from DoubleTheDonation. Most of these programs don’t require you to actually give on a specific day, but you may want to start the process today so you don’t forget in the holiday rush. Individual charities. The following large charities have organized their own matches. Many local charities may also have matching grants today. PayPal +1%. A dollar-for-dollar match is +100%. From 11/28 through 12/31/17, PayPal will add 1% to donations that you make through the PayPal Giving Fund. In addition, PayPal will not charge any transaction fees to the charity. That makes this offer not so good on Giving Tuesday perhaps, but afterward it is still something. You must use your PayPal account. The minimum donation is $10. As far as I can tell, you can link up any rewards credit card of your choice and use that as the funding source. Your donation will technically be given to the PayPal Giving Fund, an IRS-registered 501(c)(3) nonprofit organization, and then disbursed to your selected nonprofit. It will still be tax-deductible to the extent allowed by law. One catch is that the charity has to participate in their PayPal Giving Fund in order to get the money. Having trouble deciding where to give? Here are some charity comparison sites that will help you pick where to send your help. CharityNavigator – Largest and well-publicized charity rating site, provides a 4-star rating based primarily on financial criteria. GreatNonProfits – Allows clients, volunteers, and funders to post personal reviews based on their experiences. GuideStar – Tries to be a one-stop shop for both financial data and personal reviews of charities. Must register to see a lot of things, and pay a subscription fee for premium in-depth data. Philanthropedia – Ranks non-profits based on opinions of experts, and groups them to mutual fund-like portfolios. Updated. Amazon has switched it up now to their Cyber Monday Deals Week List. Some of the Amazon device deals are still available, a few different Amazon offerings and lots of “flash” temporary deals. Kindle Unlimited up to 40% off. This matches the biggest discount that I’ve seen. Lots of Kindle books on sale. Up to 75% off Kindle Paperwhite with Device Trade-In. Trade in your old Kindle device for more right now. 20% off select items if you have the Amazon Prime credit card. You can see the eligible items that get an additional 15% on top of the normal 5% back. New Fire HD 10 for $99.99 ($50 off, lowest price ever) – Includes hands-free Alexa so you can talk to it like an Echo. Fire 7 Kids Edition for $69.99 (Save $30, or Buy two for $129.98) – Includes built-in case + free replacement guarantee for 2 years. Fire HD 8 Kids Edition for $89.99 (Save $40, or Buy two for $169.98) – Includes built-in case + free replacement guarantee for 2 years. Extra 20% off Amazon Warehouse Deals – These are open-box and returned items. It’s easiest to click and then browse by category. Selected Dash buttons for $2.49. Prime members only. Each one includes a $4.99 credit on first press/purchase. Amazon Prime members can get an additional 5% off everything at Amazon with the Amazon Prime Rewards credit card (review). Raise.com lets you buy and sell gift cards online and instantly via app, and according to them they are the largest online marketplace for gift cards. They offer a 1 Year Money-Back Guarantee against gift cards that don’t have the promised value. Lasting until midnight Central 11/27/17, they are having a Cyber Monday Sale. Get an additional $10 off sitewide with promo code CMRAISE. Minimum order $100. This is in addition to any existing discounts shown. The Vanguard Blog has an interesting scatter plot of annual stock and bond returns from 1926-2016. The vertical axis is bond returns (broad US bond indexes), with the blue shaded areas indicating bond returns between 3% and 7%. The horizontal axis is stock returns (broad US stock indexes), with the purple shaded areas indicating stock returns between 8% and 12%. Click to enlarge. While we often keep an idea of “average” in our heads, the actual return in any given year could be all over the place. You could also have low stock returns and low bond returns, or high stock returns and high bond returns. It’s much more common to be “not” average than average. Stock returns are much wilder than bond returns. Bond returns were in the 3% to 7% band only 30% of the time (27 out of 91 years). However, stock returns were in the 8% to 12% band only 7% of the time (6 out of 91 years). Also, the bond scale only goes from -5% to +35%. The stock scale goes from -50% to +60%. While I liked the graphic, I didn’t really agree with the text of the linked post. Neither “desired return” nor “required return” would seem to be good benchmarks. The market doesn’t care what you want or need. You take what you get and you deal with it. I think using an appropriate Vanguard Target Retirement or LifeCycle all-in-one fund as a benchmark is reasonable because it is a real-world alternative to whatever custom mix of investments you decide to hold. Such a benchmark can help keep you honest with yourself. For every $100 in IKEA gift cards purchased online from IKEA US in a single transaction, you’ll receive a free $20 IKEA eGift card delivered via email to the email address associated with your purchase as a special thank you. Sales tax, shipping or other charges will not count towards the qualifying $100. Limited time offer, valid only for online gift card purchases made November 24 to November 27, 2017 11:59PM EST. Offer only valid for IKEA US. Not valid on previous purchases or for cards purchased in-store. May not be combined with any other offer. You could split the $100 into 2 x $50 or 5 x $20 for holiday gifts, or you could use the gift cards yourself and stack with this $25 off $150 coupon. 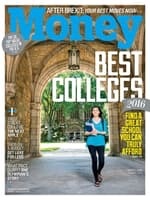 DiscountMags.com is running their Black Friday Blowout Sale through Sunday 11/26. Nice time to either get some gifts or just lock-in cheap pricing for multiple years. Here are some sample magazine prices during the sale. Importantly, DiscountMags does NOT require auto-renewal, where they charge your credit card automatically at the end of the subscription period at a higher price. This mean you never have to call in to cancel, and makes it easier to shop for another deal later. No sales tax, no other funny charges. Target has announced their Black Friday and Cyber Monday week promotions. Here are the more general deals and those that can be used on everyday purchases. Wednesday 11/22. REDcard holders always get 5% off, but on Wednesday 11/22 they will also get early access to select Black Friday deals on Target.com. Black Friday 11/24. If you spend $50 at Target in-store or Target.com on Friday 11/24, you will receive a 20% off coupon good on a future shopping visit between 11/28 and 12/10/17. Cyber Monday 11/27. Target.com will be offering extra 15% off site-wide on Monday 11/27. Last year, there was a similar promotion where certain brands that rarely go on sale like Apple and Kitchenaid items were included. Gift cards will probably be excluded. Early December? Last year, Target offered 10% off gift cards for a limited-time in early December. I will update if that is available again. Look for free shipping on most orders and free same-day pick-up in store. Target REDcard holders get 5% off most items. If you shop online, don’t forget to stack the savings from a cashback shopping portal. Many offer new customers bonuses, including eBates ($10 bonus), TopCashBack (bonus varies, but often has best rates), and BeFrugal ($10 bonus). eBates even offers cashback in some physical stores now as well. I have cashed out of all of these before. It’s kind of sad when you hear the term “Black Friday Week” more often than Thanksgiving. I would like to interrupt the flow of deals to briefly connect personal finance and Thanksgiving in a different way. 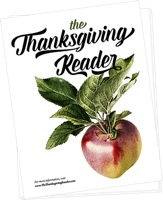 Seth Godin has put together something called the Thanksgiving Reader, which is a collection of quotes and stories dealing with gratitude that is meant to lift everyone up with hope and possibility. The idea is simple: At your Thanksgiving celebration (and yes, it’s okay to use it outside the US! ), consider going around the table and having each person read a section aloud. You could also enjoy the quotes on your own, or use it as good source material for a Thanksgiving grace or prayer. There is so much to be thankful for each day. Today we take the time to pause and acknowledge this special season of harvest and its traditions of sharing with those less fortunate. We take time to notice the labor of others, from farm to table, that culminates in this feast. Today we pause to recognize how fortunate we are and to be grateful for the bounty we share with friends, family and loved ones, be they with us or far away. Realizing that so much of what you have is enough (often more than enough) makes you content and happier. Store catalogs, TV commercials, and Instagram celebrities like to present you with visions of perfection, making you see flaws and gaps where are none. This makes you unhappy. Guess which one makes you want to buy stuff? Gratitude is an antidote to consumerism. I always appreciate this annual reminder to truly appreciate all that the many blessings that I have. Happy Thanksgiving Week! Amazon Prime members can get 20% off their next pet food and treats order (up to $20) after they create their first pet profile. It’s free to create a profile and they include cats, dogs, horses, birds, fish, turtles, and more. You can also sign up for future pet-related promotions and discounts. Order must be “sold by Amazon.com” and completed within 180 days of profile creation. Promotion will be automatically applied at checkout and will apply to Subscribe & Save orders. 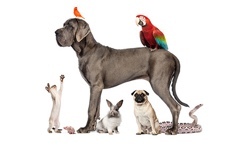 Overall, a relatively easy 20% off an entire order of items in the “pet food & treats” category. I might even double up my order to max out the $20 discount and cancel my usual Subscribe and Save. Update 11/19: This offer appears to be expired. Many of the better deals don’t last very long. Here’s a special link for the Capital One Spark Cash for Business Credit Card that includes a $1,000 cash bonus once you spend $10,000 on purchases within 3 months from account opening. There is a $59 annual fee that is waived for the first year. The fine print states that “Existing or previous Accountholders may not be eligible for this one-time bonus.” Note that there are multiple kinds of “Spark” cards, and even other offers for this Spark card with lower spending requirements and lower bonus sizes. Take a screenshot if you apply. The spending requirement of $10,000 within 3 months is pretty high, but the Spark Cash for Business also a flat 2% cash back on all purchases so at least you won’t be giving up good rewards elsewhere. This also means that after you spend $10,000 within 3 months, you’ll get $200 cash back + $1,000 bonus cash = $1,200. Many people aren’t aware of the fact that they can apply for business credit cards, even if they are not a corporation or LLC. Why? Because any individual can be a business as well. The business type is called a sole proprietorship. Your business name is just your personal name, and your tax ID number is your Social Security Number. Whether you have a small business with just one employee or over 100, it is important to track your your business expenses and keep them separate from your personal finances. This applies even if you are starting out small with a blog/website, eBay, Etsy, Amazon store, Uber, Lyft, etc. Bottom line. This special offer is perfect for someone with a small business that is looking to make a large purchase on equipment, raw materials, inventory, taxes, or advertising. If you put $10,000 on purchases within 3 months of account opening, you’ll get $200 cash back (2%) + $1,000 bonus = $1,200 total.